A practicing Catholic defends the faith and offers a passionate response to current anti-Catholic opinion. 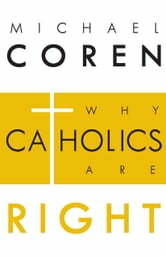 In Why Catholics Are Right, author, columnist, and practicing Catholic Michael Coren examines four main aspects of Catholicism as they are encountered, understood, and more importantly, misunderstood today. Beginning with a frank examination of the tragedy of the Catholic clergy abuse scandal, Coren addresses some of them most common attacks on Catholics and Catholicism. Tracing Catholic history, he deconstructs popular and frequent anti-Catholic arguments regarding the Church and the Crusades, the Inquisition, Galileo, and the Holocaust. He examines Catholic theology and central pillars of Catholic belief, explaining why Catholics believe what they do: papal infallibility, immaculate conception, the Church rather than Bible alone. Finally, he explores the dignity of life argument and why it is so important to Catholicism. 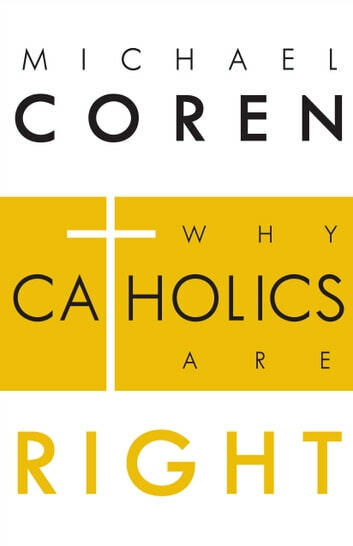 In this challenging and thought-provoking book, Michael Coren demolishes often propagated myths about the Church's beliefs and teachings, and in doing so, opens a window onto Catholicism, which, he writes, "is as important now as it ever was and perhaps even more necessary."